Market Anthropology: Dominoes or Dissonance? The Dow Jones equal weighted US dollar index (FXCM) broke out to a new two year high last week - courtesy of the Japanese yen which materially started to weaken relative to the dollar in October; a helping hand by the British pound which succumbed in January; and a recent boost by the Aussie that broke relative to the dollar in February. The FXCM index is a relatively new (January 2011) benchmark for the US dollar relative to a basket of the four most liquid currencies in the world. 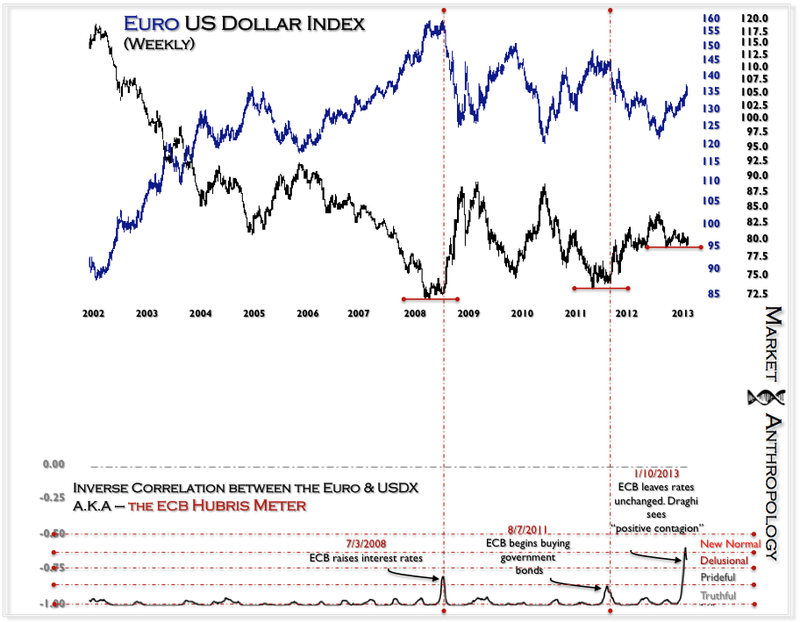 Up until late December, it has generally mimicked the trend of the US dollar index (USDX) - whose currency basket differs with a majority weight in the euro. 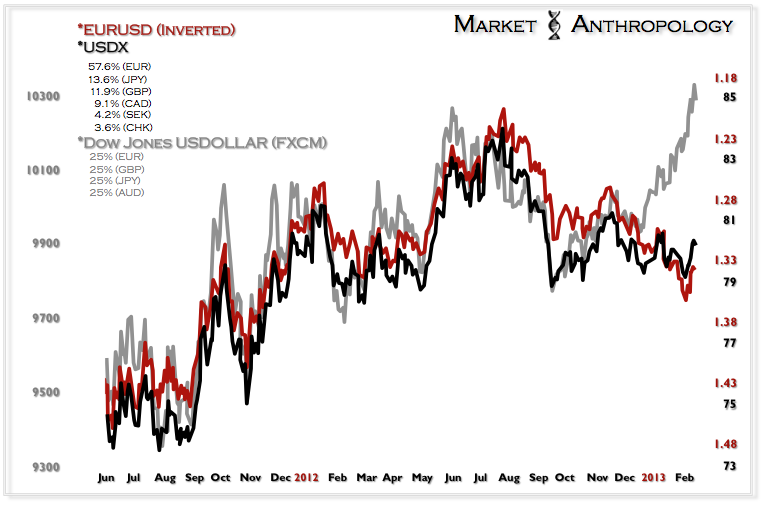 Ah the euro - and the strange games it has played since December.